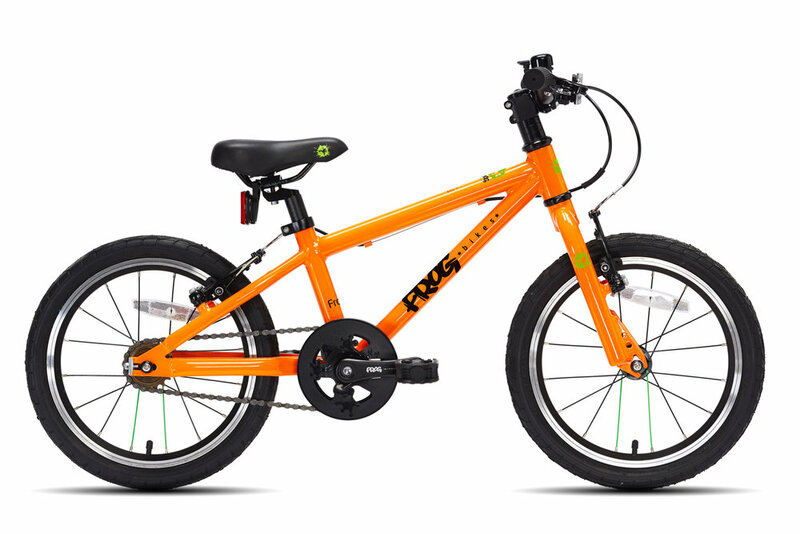 Frog lightweight kids' bikes are intelligently designed around the specific needs of children and youth cyclists, and are built using the highest quality materials and components. 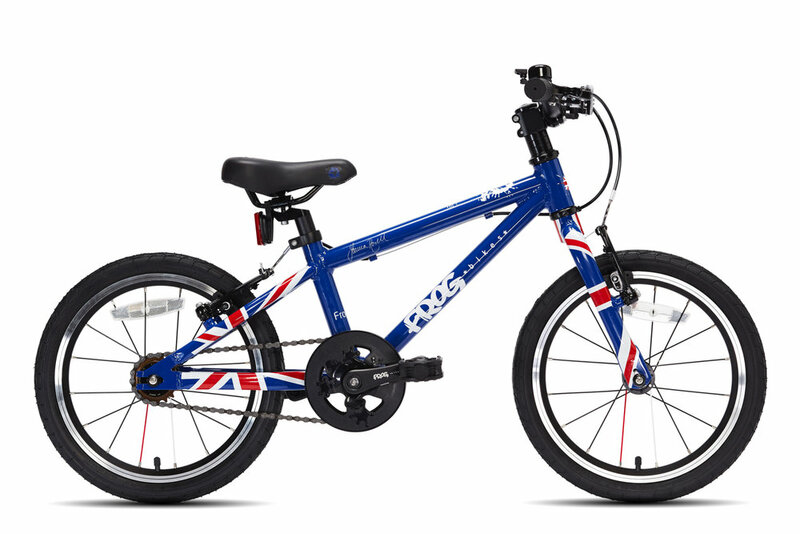 Frog bikes is a small British company dedicated to making cycling fun for children. The founders, Jerry and Shelley, have 2 children of their own, so they know something about what motivates children to get on their bikes. They set about re-designing kids' bikes, creating light but strong aluminum frames and hand-picking components that offer high performance and eliminate unnecessary weight. Frog bikes are much easier for kids to pedal not only because they are so lightweight, but because of a unique crank design from the renowned bicycle engineer Dimitris Katsanis (of Team Great Britain Olympic fame). The design reduces the space between the pedals (Q-factor), allowing children to push more directly down when cycling, converting more of their energy into motion. Frog bikes are assembled and shipped from Frog's own factory in South Wales, UK. Every Frog bike comes with fenders to keep dirt on the tires where it belongs, and two sets of tires to keep your on-road and off-road options open. Alloy rims, aluminum frames and forks, threadless headsets, and lightweight components throughout keep these bikes in a low weight class all to themselves. Frog bikes even come with a bell and a handy bottle of touch-up paint so they will look good as new when they get passed down to the next lucky kid in the family. For help choosing a size, please refer to our simple Sizing Guide. 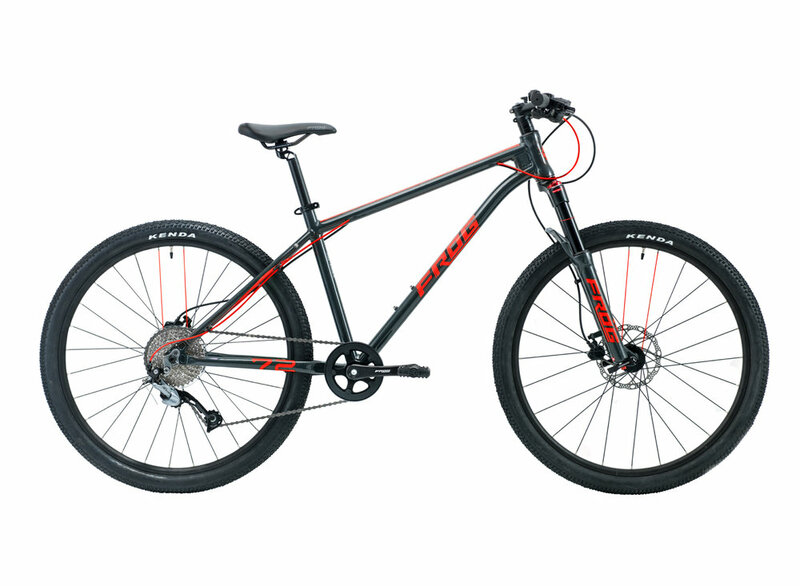 WE ARE AN AUTHORIZED frog DEALER AND CAN ORDER ANY BICYCLE IN THE frog LINE. Here are OUR FAVORITES. The balance bike is where a child's cycling life begins, and the Tadpole starts kids off in exactly the right way by keeping the bike light (between 7.6 and 9.2 lbs) and easy to handle, yet low and stable. A hand brake, sized perfectly for small fingers, begins the process of learning control along with the intuitive balance skills kids naturally discover on such a simple bike. The Tadpole Mini is for adventurous 1 to 2 year-olds, the Tadpole is for ages 2-3, and the Tadpole Plus fits ages 3-4. The Frog First Pedal bike is an unparalleled bike for a child to build their next level of confidence, whether they've started on a balance bike already or this is their first bike ever (we recommend temporarily removing the pedals and treating it like a large balance bike in this case). Everything about the bike is perfectly sized for kids, from the easy-reach brake levers to the child-specific seat. You even have the option to use a coaster brake in addition to the hand brakes for plenty of confidence in controlling speed. Comes in three sizes for inseam lengths of 43, 48 and 52cm. 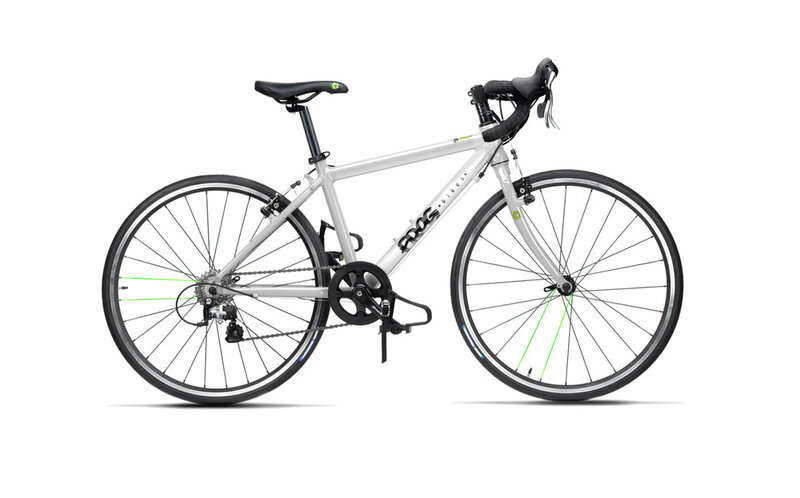 Frog hybrid bikes are all about fit and performance. Frog has realized that not all kids are the same size when they develop enough confidence and skill to handle a Shimano 8-speed Alivio derailleur and Tektro linear pull hand-brakes-only speed control, so they've designed their hybrid bikes with 20", 24" and even 26" wheels in five frame sizes for kids with inseams of 52cm to 73 cm. Weighing in at 19 to 22 lbs, the bikes define a new standard in kids' bikes' light weight and performance. These are the kinds of bikes parents love to see their kids ride, anywhere from the forest trails to a daily ride to school. Weighing in at a mere 18-20 lbs, Frog road bikes are the envy of any high-end racing bike, at a fraction of the cost. Short-reach handlebars and dual-control levers promote a true racing or cyclocross riding position, letting youngsters cover more miles more efficiently than ever before - and that adds up to more fun for the whole family. 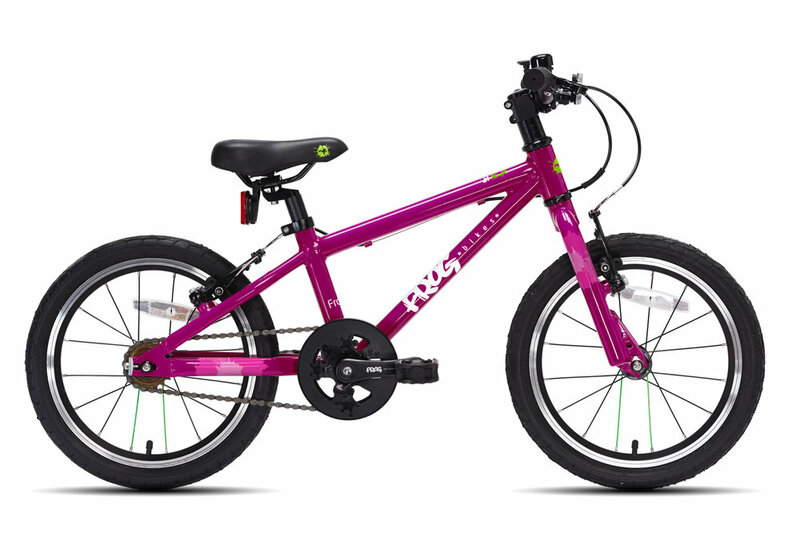 For inseam lengths of 58, 67 and 70cm, Frog road bikes let your child experience the thrill of a truly smooth, fast ride. 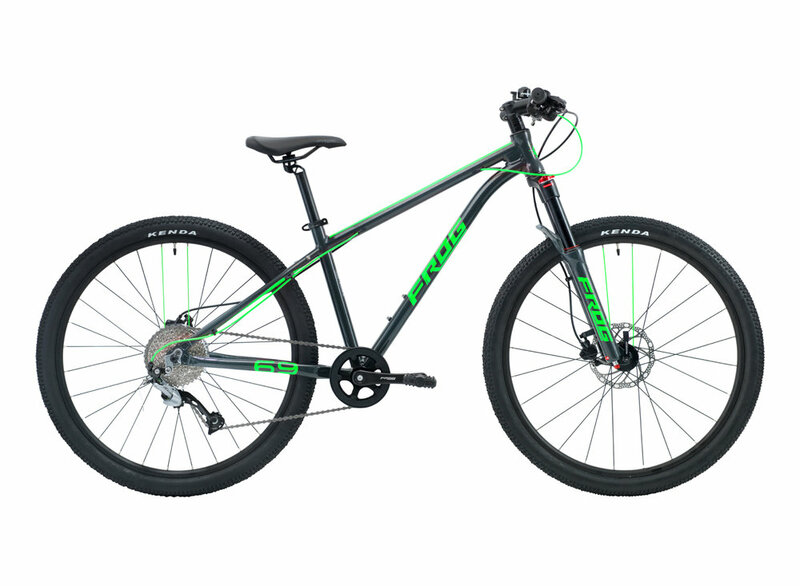 The new Frog mountain bikes are high-performance all terrain bikes for off-road cycling. 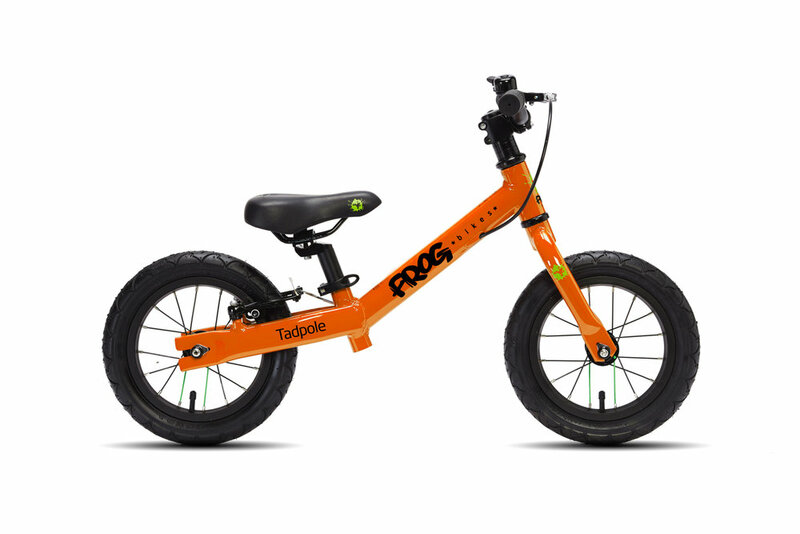 Frog's signature light weight and streamlined design create a riding experience just like what an adult enjoys with an appropriately sized and equipped bike. One of the most critical components, the suspension fork, is designed and built especially for Frog to provide a smooth, controlled ride for junior riders, allowing the suspension to be tuned to a rider's actual body weight. Hydraulic disc brakes and single chainring wide-range drivetrains provide all-terrain capability while retaining simplicity and dependability. 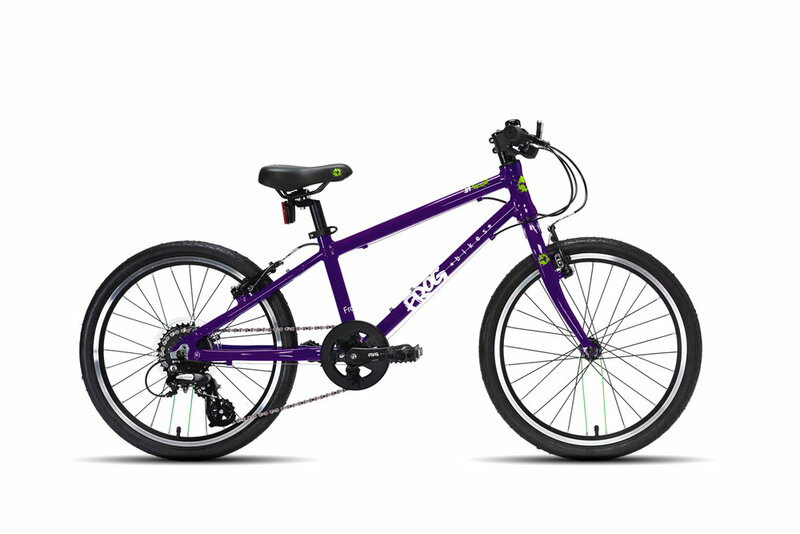 For more detailed specifications, or to view additional Frog bikes available through Piccadilly Cycles, view the entire catalog. Typical lead time is 8-10 days on any bike not currently in stock (bikes ship from the UK).